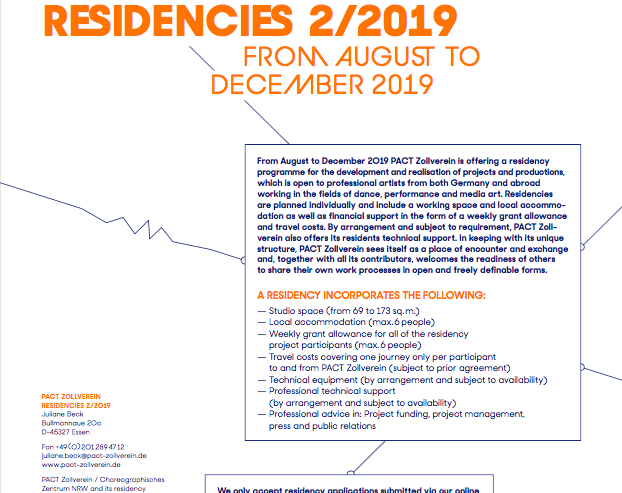 PACT’s residency programme for the development of artistic projects and productions enters a new round again. Please find enclosed the Call for Entries for the time period between August to December 2019. We would be pleased if you could also forward it to others it might be of interest to. Please find the Call in form of a PDF here. Should you have any questions, please do not hesitate to contact Juliane Beck.